After using the Android Play Store as an update mechanism for HTC apps, HTC are about to take the bold step of allowing some of their Sense apps to be freely installed onto devices by other OEM’s from the same medium. Since Sense was first introduced users have always wanted to port some of the better HTC apps over to other devices, but being tied in so tightly to the HTC framework it hasn’t been possible. Now HTC through their Creative Labs section headed by Drew Bamford have made the decision to set some of their apps free. 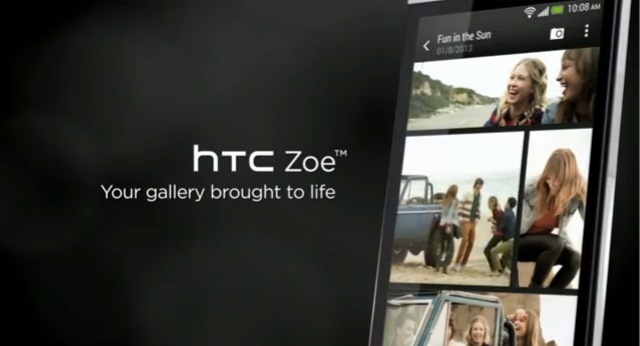 The first app earmarked for release will be the Zoe Highlights part of the HTC Gallery, a feature that received critical acclaim when it debuted with the release of Sense 5. Releasing this type of app makes sense as it will help spread the name of HTC with shares of the finished Highlights. There is no word as yet of what other app/features will follow Zoe but Drew did state that getting those that run the company on board with the idea was easier than he expected “I expected there to be a lot more resistance to shipping things that previously were considered HTC experiences, Honestly there hasn’t been that much argument.”. We look forward to trying the HTC apps out. Update : Drew has confirmed on Twitter tonight that the Zoe app will be made available for download by this weekend!